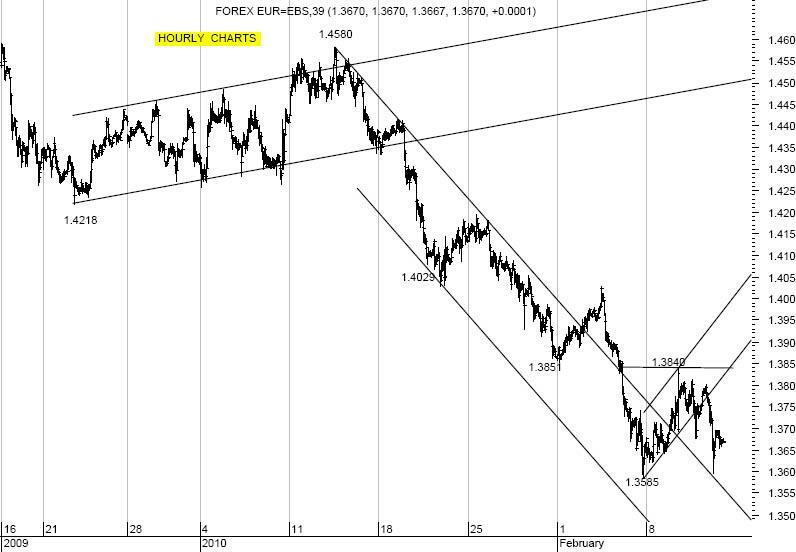 Pair below Flag and reapproached 1.3585 (see graph) and currently back below the daily channel off 1.5142 (bottom at 1.3703 today),: Support area at 1.3653/ .3650 (reaction low hourly/ break-up hourly), with next levels at 1.3625 (daily envelope bottom), ahead of 1.3585/ .3581 (current reaction low off 1.5145/ long term break-up on monthly charts), where pause favored, amid overextended readings. If wrong, next levels at 1.3519/ .3504 (daily Bollinger bottom/ monthly envelope bottom): tough on 1st attempts. Resistance at 1.3707/ .3711 (daily Short Term Moving Average→/ breakdown hourly), with next levels at 1.3785 (daily envelope top), ahead of 1.3813/ .3840 (daily Medium Term Moving Average↓/ current week high + see graph), where pause favored. If wrong, 1.3940/ .3953 = daily Bollinger midline/ 23.6% 1.5145 to 1.3585?.